Want to show your support? 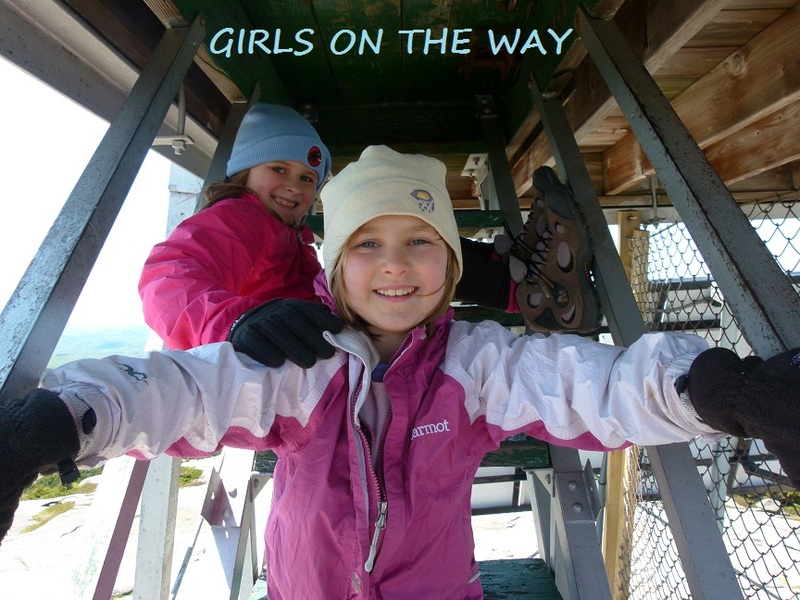 Donate to GirlVentures and/or Global Fund for Women in honor of Girls on the Way! The girls and I accompanied two of our friends on their final 52 With a View hike last Sunday. After reaching the top of Starr King, we decided to continue and get nearby Mt. Waumbek as well. Both girls have ascended all 48 of New Hampshire's highest mountains (Alex is now on her third round of these "4Ks"), but, until Sunday, they'd never ascended a 4K carrying everything they'd need for an accidental night out. My pack, on the other hand, felt wonderfully light...it's nice to finally be able to transfer some of the kids' gear into their own packs! The hike went well. Alex and Sage said they could feel the extra weight, but they didn't complain of aches or pains. Their pace was only a bit slower than usual and they seemed like their usual happy selves throughout the ascent. You can read the full trip report on my main blog (click here). Since the focus of that hike was to celebrate Dan and Janelle's final 52 With a View peak, I feel the report should go there instead of here (where the focus is on our Camino preparations).